When I collected E from nursery last week, she came running out, grubby faced and as pleased as anything to show me her plant. 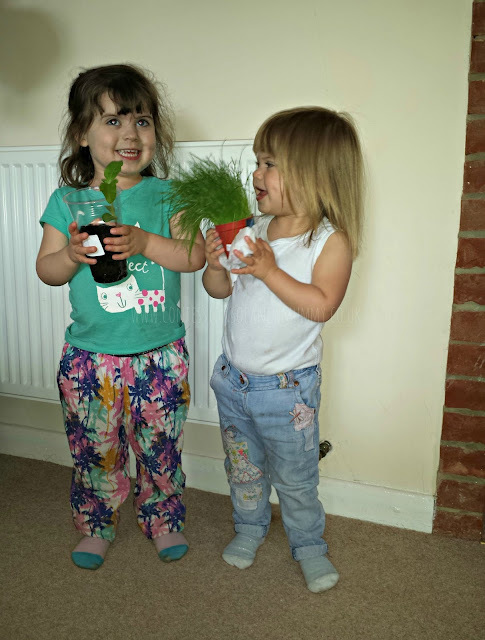 I must admit that my heart sank a little as the last plant that she brought home was just as we had moved house and when we planted it in the garden it was accidentally sprayed with weed killer. Naughty Daddy! When we got home she was still grinning away and holding on tightly to it so I suggested taking a photo to send to Nanny and Granny. She was more than happy to oblige. 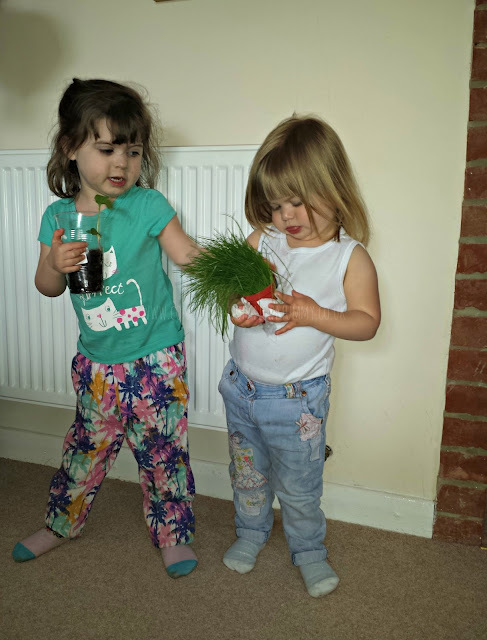 Of course, as soon as she realised, T wanted to join in and she made D go and get her grass head that she had potted a few days before so that she could be in the photo.